Mountain experts are warning hillgoers to be prepared so they don’t get caught out in the dark. Rescue teams in Snowdonia face an increase in callouts as the end of British Summer Time heralds darkness enveloping the mountains earlier. The MountainSafe Partnership issued five vital points as it expects an increase in visitors to the national park during this week’s school holidays, coinciding with the clocks going back. Walkers and other outdoor enthusiasts are urged to follow the organisation’s advice when heading for the hills as the days shorten and weather turns cooler and wetter to avoid getting into trouble on the area’s peaks and high ground. Know your limits. While being very enjoyable, getting out into the mountains can be hard work – challenge yourself but be aware of the fitness levels, and experience of the group as a whole – not just your own. Phil Benbow, a mountain rescue team member and chairman of the MountainSafe Partnership, said: “There is a significant increase in the number of calls to rescue teams when the clocks go back, due to people becoming caught out by the reduction in daylight hours. 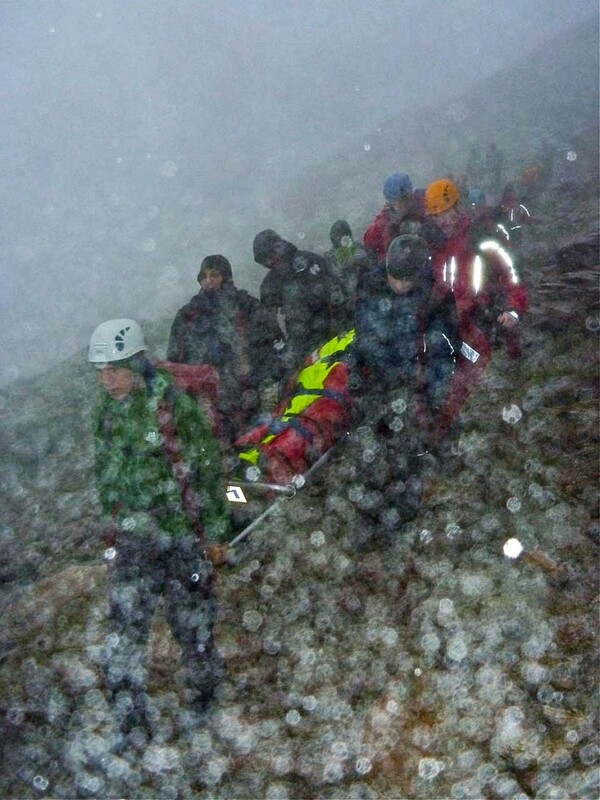 The MountainSafe Partnership consists of Snowdonia National Park Authority, North Wales Police, North Wales Mountain Rescue Association, Llanberis Mountain Rescue Team, Plas y Brenin National Mountain Centre, British Mountaineering Council, Mountain Leader Training (Wales), Snowdonia Active, and the Met Office, with funding from the Welsh Government, via Sport Wales. I agree totally with all the sound advice and adhere to it every time i venture into the hills, however it's not the people who will be reading these articles that you need to be talking to. It tends to be the ill/miss informed "tourists" in their trainers and macs in sacs!